Meridian Outpost specializes in short-run CD and DVD duplication and direct on-disc full-color imprinting for small businesses or SOHOs. Take advantage of the digital media to distribute your product information, instructionals or how-to videos, audio training and much more. 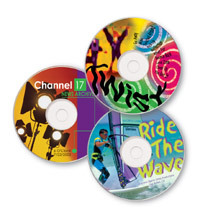 Contact us to further discuss distributing your business data on professional-looking CDs and DVDs or get a free quote for your next CD/DVD duplication and imprinting project.